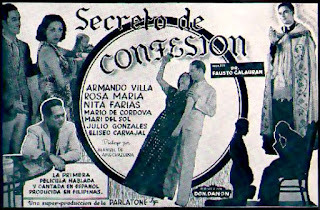 Secreto de Confesión was the first Filipino film in the Spanish language, presented at the time as la primera película hablada y cantada en español producida en Filipinas ("the first film spoken and sung in Spanish in the Philippines"). Secreto de Confesión was screened with great box office success in the United States, Cuba, Puerto Rico, and several other Spanish-speaking countries in the American continent. It also was shown in Macau, Hong Kong, Spain, and Portugal. 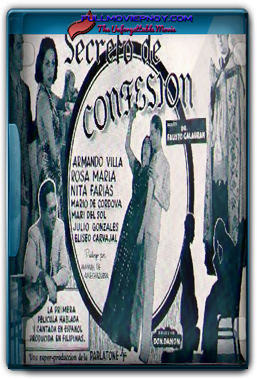 Other Filipino films in Spanish from the same period, such as Las Dulces Mestizas, Muñecas de Manila or El Milagro del Nazareno de Quiapo, had an even greater success at the box office, and started to create international distribution channels for the Philippine film industry spoken in Spanish.